Summary of the Game: We are here with Candy Carrom Board, the most awaited and best Carrom Game of 2018. -- The ultimate addictive and fun Carrom Game. - This is one of the best Carrom Game available. - Not only you'll enjoy playing Candy Carrom, you'll also get to learn Carrom - You can play Candy Carrom alone or with your friends, family or even strangers Main Description: Candy Carrom will give you the feel of playing on a real Carrom Board on your android phone or android tablet. The game of Carrom is believed to have originated from the Indian subcontinent. The objective of play is to use a striker disk with a flick of the finger to make contact with and move lighter object disks called carrom men, which are thus propelled into one of four corner pockets. Lets pick the striker and become the Candy Carrom king of board games. The aim of the game is to pot (or pocket) one's nine carrom men (either Black or White) and the Queen (Red) before your opponent. 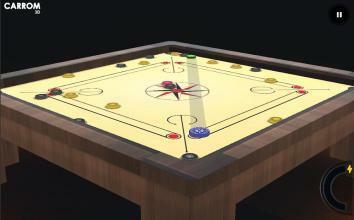 Carrom follows similar "strike and pocket" games, like pool, shuffleboard, billiards, snooker etc. with its use of rebounds, angles and obstruction of opponent's pieces. 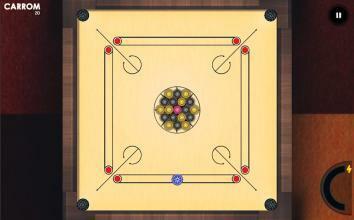 Carrom is also known as karrom, karom, carom, carrum in various parts of the world. 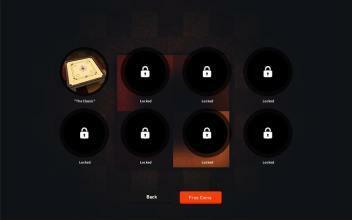 Arcade – Play Carrom Board unlimited in offline mode with more than 200 levels. Unlock the cool and challenging stages while playing. Practice to be the best. Multiplayer Game Modes – Play Carrom Board live against real opponents anytime, anywhere in exciting online multiplayer modes. 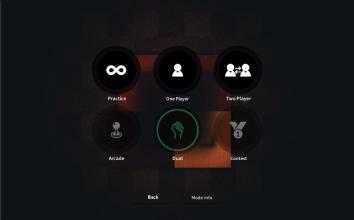 (coming soon) Multiplayer Game Modes – Play Carrom Board live with your family and friends on your mobile in offline mode also. Play with world – Take down real players anytime, anywhere in a thrilling Carrom match. (Comming soon) Play with Friends – Invite, Challenge & Compete with your friends, Win the carrom challenges/matches and climb the leader-board. 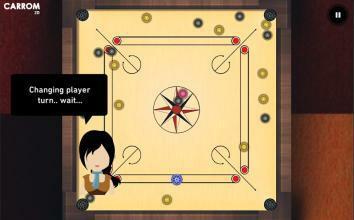 Play Nearby – Beat the other near by real players to be the king of Carrom Board Game. Featuring two amazing multiplayer game types – Eazee Peeze 'Freestyle' and showdown of The Hard ones 'Black & White'. Play the Carrom with automatic machine , if you are alone or Play the two Player/Dual match when you are with your friends. Candy Carrom gives you different game modes (Practice, One Player, Two Player, Arcade, Dual and Contest), ironically you can also play a 2d carrom in this 3d game …..!! For those who don't know carrom game, it is a strike and pocket game similar to billiards, or pools. In Carrom (also known as karrom or carom) the players have to strike and pocket the carrommen (coins) using a striker of their choice, and the first one to do so with the maximum number of carrommen wins the game. A single red coin known as the queen has to be pocketed and followed by another carromman, if not it will be returned to the centre. In case of a draw, the user who pockets the queen wins the match. Candy Carrom simulates the physics of the carrom accurately. You can try out any zig-zag shots you used to play in a carrom board. With realistic 3D simulation and intuitive touch control, you’re sure to be hooked onto the action for hours. If you like challenges ,try the Arcade mode and collects more and more candies to unlock more challenge levels. We hope you will enjoy our Candy Carrom Download now for FREE We appreciate your reviews to improve Candy Carom with new features.